Which is the best life insurance plan in India? Insurance policies are not simple to understand, even though life insurance is very complex to understand. Choosing the right life insurance for yourself and your family is an important step to give financial protection to your family members. 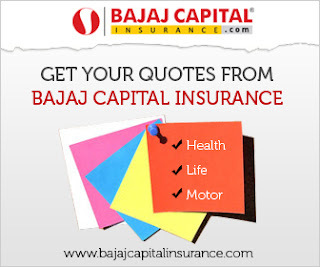 Number of insurance plans available in the market offered by leading insurers in India such as term insurance, retirement insurance plan, child insurance plan, Unit linked insurance plan, Endowment Plan and many more. Need Identification: Everyone needs coverage. Ask yourself why you need life insurance policy. If you have spouse, children and dependents parents or dependent family members – Life insurance coverage is your need to minimize the financial losses if something happens to you. I strongly believe that changes begin with the understanding and understanding begins with identification. So first, understand the life insurance then after start identification of your need. Cheapest is not always best: Generally, people think insurance premium is the only thing that matters while looking for a life insurance policy. Infect policy coverage is most important aspect of the any insurance plan. Do not choose any insurance policy with respect to insurance premium, pay insurance premium as per the coverage you get. Extremely low premium life insurance policies offers little amount of coverage and the death befits are too low. Compare and Choose: Navigate maximum number of policies to choose the best insurance plan. Comparing online life insurance policies is also a good option available these days. In this digitize era, there are such comprehensive online insurance portals, which provides free insurance quotes from the leading insurers. The benefit of such portals is that, under the one roof you can compare plans from the number of insurers with the insurance premium and the policy details. Such online insurance portals also provide the facility of buying the insurance policy online. Go for expert advice: After doing a lot of work on insurance policies there is a possibility, you are not getting the right/best plan because you needs are unique so your plan should be unique too. In such condition go for expert advice, an insurance expert can easily understand your need and provides you the best available insurance plan in the market. Nevertheless, remember the most important thing, Insurance agents may not be the insurance expert because they bound in the limitations of the certain policies and they generally offer the plans with the high commission. Going to composite insurance brokers definitely provides an expert advice because they have plans from almost all the insurers in the market. Life insurance is very important as it protect your loved ones after you if some mis-happening occurs. So do not be in hurry while choosing the life insurance plan. Take your time and do proper analysis before taking any decision. Term Life insurance plan are also available in the marker, which can really provide you insurance with a difference. I was hunting for the insurance policy for investment plan and found your blog helpful to understand the basics of insurance mean. thank you for providing information.